Dianne Romain writes, teaches, and dances in Guanajuato, Mexico, the site of her novel. Fascinated by a young woman’s performance of “The Lost Child” in Guanajuato’s central plaza, painfully shy expat Callie Quinn asks the woman for a trumpet lesson—and ends up confronting her longing to know her own lost child, the biracial daughter she lost to adoption more than thirty years before. “Romain spins a tale of flight from truth-telling—truth-telling to others, truth-telling to one’s own heart—and of the harm this can do to both till such behavior is changed. Finely crafted, sensitively written, it is a story which will generate self-reflection in many readers. –Thomas M. Robinson, D. Litt., D. S. Litt. 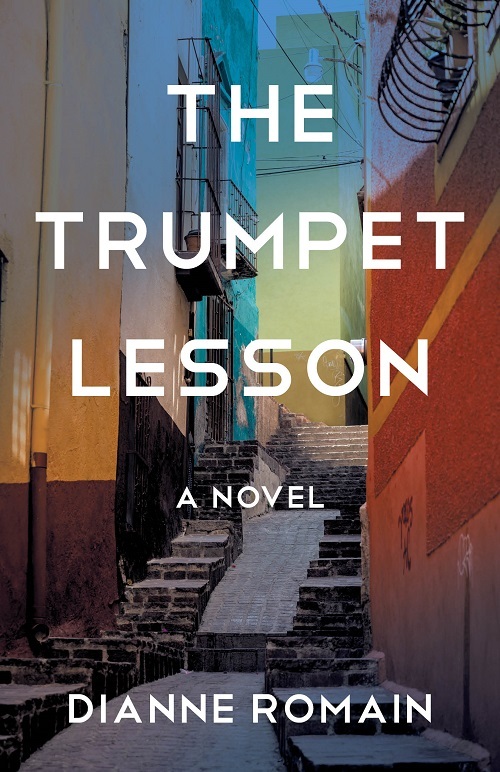 “A beautiful story of a woman adapting to a foreign land, The Trumpet Lesson breathes with the authentic atmosphere of Guanajuato, colorful characters, how a trumpet lesson feels, musical lives, and plenty of philosophy. Bravo! –John Urness, Soloist and Principal Trumpet of the State of Mexico Symphony Orchestra.